Will Myanmar release Reuters journalists? Defence lawyers filed an appeal against the conviction in early November, citing evidence of a police set-up and lack of proof of a crime. 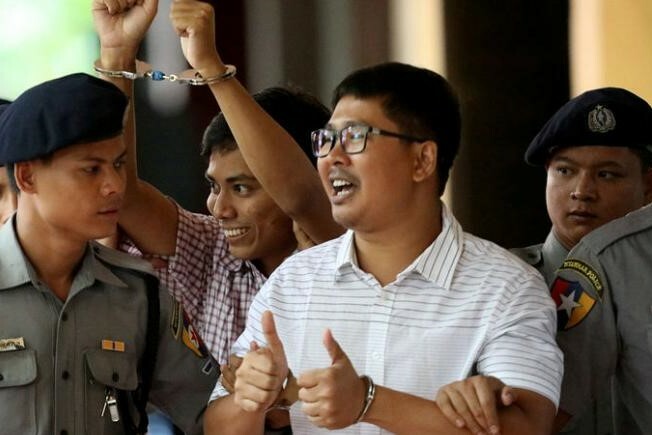 "We are looking forward to demonstrating to Myanmar’s High Court why it should reverse the convictions of Wa Lone and Kyaw Soe Oo due to the egregious errors committed by the trial court in condemning them to prison for seven years," Reuters Editor-in-Chief Stephen J. Adler said in a statement. "We will explain to the appellate judge why, under the law, the only possible conclusion is that the appellate court must restore our reporters' freedom and reaffirm Myanmar’s democratic principles," he said.